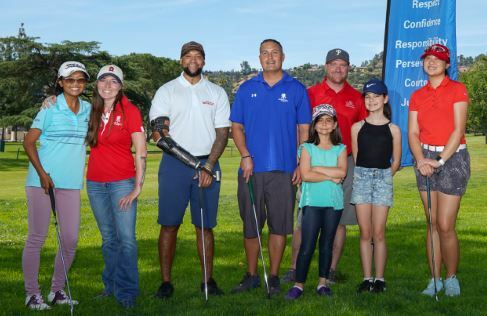 Bob Baderian (red shirt), executive director of the First Tee of Greater Pasadena, is flanked by Wounded Warrior veterans during the First Tee’s recent golf fundraising tournament. If you really want to get to know someone, take them golfing. 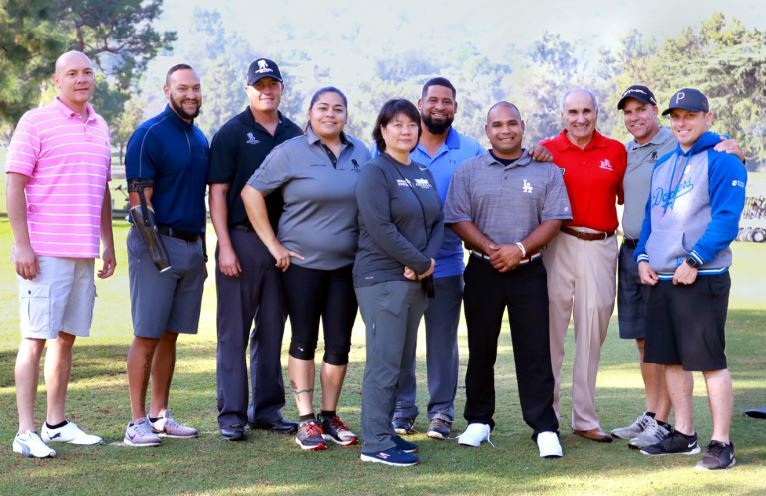 The First Tee of Greater Pasadena has put that advice into practice over the years, teaching thousands of youth the skills, integrity and positive values that are connected with the game. 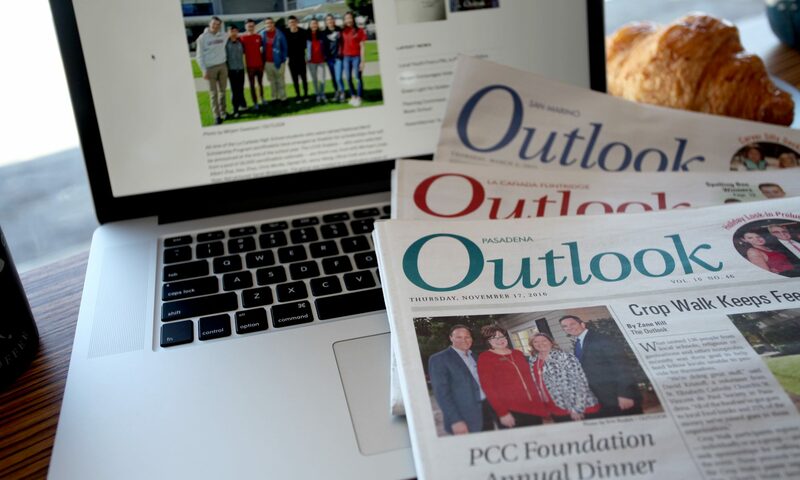 And now, it is providing something no other chapter of its kind has done before — a program that conveys to veterans the same goals it has taught to local youth. The First Tee just completed its first year of programming with veterans through the Wounded Warrior Project with what it considers to be resounding success. The nonprofit organization, based at Brookside Golf Course, welcomed veterans from all walks of life to participate in four golf clinics, introducing them to the tenets of the sport, and not just how to swing a club or keep score. The First Tee has taught veterans golf skills and socialization methods that it also uses to teach local youth. Since its inception in 2005, the First Tee has taught the life lessons reflected in the game of golf to thousands of youth across the Greater Pasadena area, including how to properly meet and greet new people, how to make a new partner on the green and how to socialize — attributes that some veterans may struggle to rekindle after serving in war or experiencing traumatic events. The clinics also provide the veterans, from all over Southern California, a means to get to know each other and create friendships. The veterans were also honored at a luncheon after the First Tee’s annual fundraiser tournament, in which 11 of them participated. “It’s just been a true, multi-giving-back opportunity for everyone involved,” he noted. Since Baderian helped co-found the First Tee in Pasadena, the organization has worked with some 150,000 youth, helping them build character and values associated with golf. The nonprofit has established nine core values that represent some of the many inherently positive values connected with the game, including honesty, integrity, sportsmanship, respect, confidence, responsibility, perseverance, courtesy and judgment. These are characteristics that also speak to veterans as ones they learned in the military, said Betty Lou Beyer, the First Tee’s special projects director. The game of golf is special in that it’s a game where integrity is everything, as players keep their own score and penalties and count on each other’s honesty in never nudging a ball from where it landed, no matter the infuriating position, she noted. The Wounded Warriors Project supports the long-term recovery needs of warriors by reintroducing them and their families to the unique bonds experienced during military service. Connecting with fellow service members in the community minimizes isolation and creates a support structure during the healing process, fostered by programs that the First Tee is offering. For veterans who return with injuries or disabilities, golf provides a sport that many can play on disabled-accessible courses. “For the veterans, it really reinforces life skills if they’ve lost their way or haven’t been exposed to it for a while. 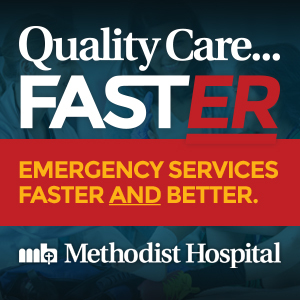 When they’re treated with respect and admiration, it makes a difference,” Beyer said, adding that the veterans’ family members have also been invited to participate in clinics, and that has created a bonding experience between them. Warriors Project. The youth the First Tee has helped through its programs have given back by volunteering for the golf clinics. The First Tee’s Greater Pasadena chapter offers programs at Brookside and elsewhere in the area including Alhambra Golf Course, Altadena Golf Course, Arcadia Par 3, Arroyo Seco Golf Course, Eaton Canyon Golf Course and Glen Oaks Golf. 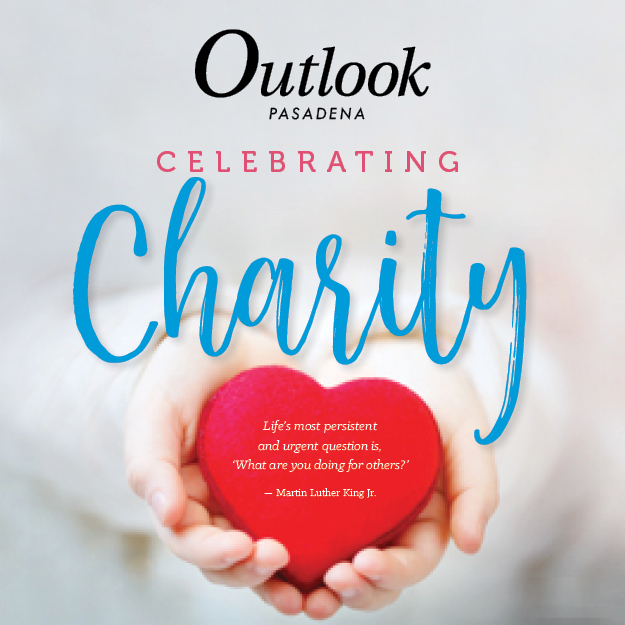 In recent years, the nonprofit has expanded its reach to include youth from all over the greater Pasadena area. Its programming, offered to boys and girls from the ages of 5-17, imparts to youth more than just life skills and golfing techniques. It’s also creating a way for the youth to give back to the program that has helped them through community service. The youth participants are integral to the operation of the clinics and are giving back through community service. Older participants have become expert enough to become assistant coaches and share the skills they’ve been taught through the nonprofit, said Mark Fritz, director of programming and development. The veterans also provide excellent role models, he noted.